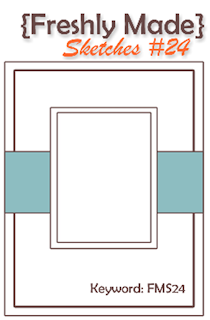 Cards by Rita: FMS24: My Sketch! Do you ever dream up your cards? That's totally what happened with this one! I woke up with an idea in my head and here it is! In my original design, I used some rolled paper flowers but they didn't seem to work once I put them on my card. They were just too bulky or something. Thank goodness for the Boho Blossoms punch; it rescued my card and saved me from having to start over. I can't wait to see what you create with my sketch this week! I'm usually not crazy about anything yellow but I do like your yellow and black cards. Lovely! Beautiful card Rita! Love the embossed frame in the center and those colours look lovely together! Wow! So not colors that I would have put together....but so stunning when done right ! Gorgeous creation inspired by that lovely fabric. SO pretty! Beautiful fabric - great inspiration! And your card is gorgeous! So dramatic and elegant! Those flowers are perfect! Hope I get a chance to use your sketch this week, it's a great one! What awesome inspiration and you have captured the essence of that fabric perfectly. Fantastic card!! Gorgeous card, Rita! I love the colors and the clean linear lines are just fabulous! BTW, that fabric is just as divine also! I think my eyes popped out of my head when I saw this. It's stunning. The colors are so vibrant, the embossing creates some wonderful texture and the flowers are so sweet! Beautiful card, I love the textured background. Wow Rita! Such a stunning card - I love this colour combo! Yes, I do "dream" my cards occasionally, and they're usually my favorites. Your "dreamed up" card is a favorite of mine, too. Love all the texture, and those flowers are perfection. TFS! I totally love this card Rita ... everything about it is just stunning - the black and daffodil are so striking, the embossed frame and tiny flowers .... fabulous! Thanks for the great sketch this week! 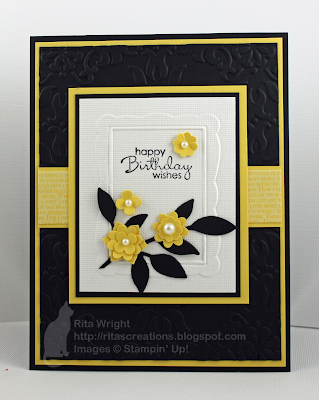 I love yellow and black and this card is so lovely! I love your little yellow flowers and the simple sketch. I was so inspired that I made a card for this challenge. I was going to blog it but got sidetracked with your blog. Can't wait to see the finished quilt. Oh my goodness this is so gorgeous Rita!! I love how you used the embossed frame and the wee flowers. A lovely colour combo too! SO, SO pretty! It's a stunning card.....a CLASSIC! 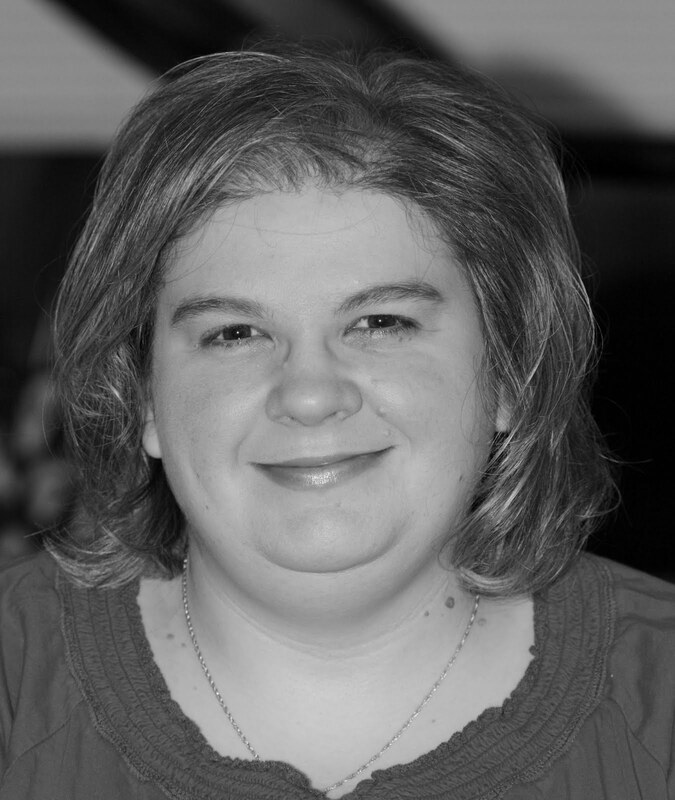 You were cased today on Nancy Riley's istamp blog. LOVE this design and color combo - brilliant!! !